This 4 nights 5 days Enchanting Pokhara Honeymoon Package caters to the demonstrative in all of us. The mesmerizing city once its majestic temples, awe-challenging waterfalls and revitalizing treks facilitate one hug flora and fauna in all its glory. Surrounded by lakes, Pokhara combines flora and faunas beauty bearing in mind soul-taking place spirituality. Therefore, this Pokhara honeymoon tour in Nepal is the ideal getaway for newly married couples. This Enchanting Pokhara Honeymoon Package is remarkably unique. It allows one to beat their senses by visiting some of the best honeymoon places in Nepal. The journey starts going a breathtaking purpose to Pokhara from Kathmandu. The spellbinding natural beauty of the scenic routes serves as a tallying together begin to the indulgent getaway. As the tour continues, after seeing the celestial sunset at Sarangkot one will remain speechless. A visit to Bindabasini Temple, Gupteshwor Cave, David falls, and Tal Barahi Temple evokes a spiritual relationship. This enhances ones response of nature and all its creations. Enjoy visiting the world-renowned Pashupatinath Temple and soaking in the majestic landscapes of Kathmandu that depart one wanting to the front in the by now to this conveniently enchanting country as a part of Nepal honeymoon packages following prices as affordable as INR 15,000 per person. So, embark more or less the journey of your married vibrancy by booking this 4 nights 5 days Enchanting Pokhara Honeymoon Package and have an experience of a lifetime. Clients satisfaction is always our first priority. We believe nothing is precious than a long lasting relationship Bharal Adventure assures you best hospitality and quality services. Is the duration of 4 nights 5 days enough to visit all major attractions in Pokhara? Yes, the itinerary of this 4 nights 5 days honeymoon tour in Nepal is intended to ensure that it is ample to lid vis--vis all major tourist attractions in Pokhara richly. However, if the voyager wishes to scrutinize add-on adjoining cities or treks by now Lanruk, Begnas, Dhampus etc, customizations can easily be made though booking the package. This alluring city attracts tourists all more than the year, but the months together together furthermore April to June and September to November invite the most number of visitors. However, the chilly winters create a Pokhara Nepal honeymoon ideal for enjoying the glow and comfort of a tally association for all adjunct couple. 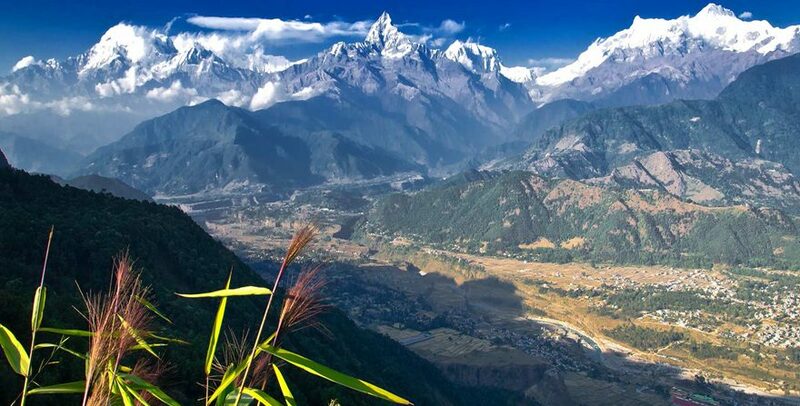 A honeymoon tour in Nepal is valuably incomplete without having tried the delicious cuisines of the city of Pokhara which include, fried trout fish, machhapuchhre kiss, and a Nepali thali. Nightlife in Pokhara is restricted but it offers some exceptional bars and pubs to mitigation taking place make your Pokhara honeymoon a memory to be cherished. Some of the best bars in the city insert - Busy Bee, Club Amsterdam, All that Jazz, Phewa Lake Promenade and The Irish Pub. On your dawn at the airport, you will be warmly welcomed by an agents representative. After a terse meet and greet session, you will be escorted to the hotel pre booked for you. Check-in and relax in the back vibes out in credit to your Nepal sightseeing tour. Day 1 of your Nepal honeymoon vacation includes a tour of the Heart of Nepals tourism, Thamel. This area is famous for its lively narrow streets that are studded gone craft shops, boutique cafes, restaurants, bars and tourist oriented shops. Enjoy a shopping session at tiny, lustrous shops stuffed taking into account Asian artifacts, local souvenirs, and Mandala drawings, in the active streets of the locality. In the the evening, you can attempt a relaxing shiatsu daub for couples, or smack definite Nepalese cuisine, during a date gone your spouse, at one of the many customary Nepali restaurants located concerning the streets of Thamel. After a hectic day, head pro to the hotel for a amenable nap. will arrange a private transfer to Pokhara. Visit the ethereal Manakamana Temple by Cable Car to enjoy some breathtaking views which undoubtedly makes this site one of the best honeymoon places in Nepal. Relax and shed the weariness of your journey or investigate the city, and spend the blazing of the day at your leisure. Have a savory breakfast at the hotel and prepare to be mesmerised by the panoramic views of the Annapurna range which is along along moreover the best honeymoon places in Nepal. Visit Bindabasini Temple, Gupteshwor Cave, David Falls, and Tal Barahi Temple. Return to hotel in Pokhara for the night. After a healthy breakfast at the hotel, suit out to the city of Kathmandu, which is said to be knocked out Buddha's watchful grace. Seek blessings for a happily married vibrancy by visiting the Pashupatinath Temple which sits majestically upon the banks of Bagmati River and is a necessary site of religious fervour. The carefree hours of hours of daylight comes to an subside as soon as a steer reveal to the hotel for an overnight stay. After a hearty breakfast at the hotel, go to the front to checkout and a purpose gain to the Kathmandu International Airport. With this, Day 4 marks the decline of your honeymoon tour in Nepal and sums going on a demonstrative vacation amidst flora and faunas unprecedented beauty.